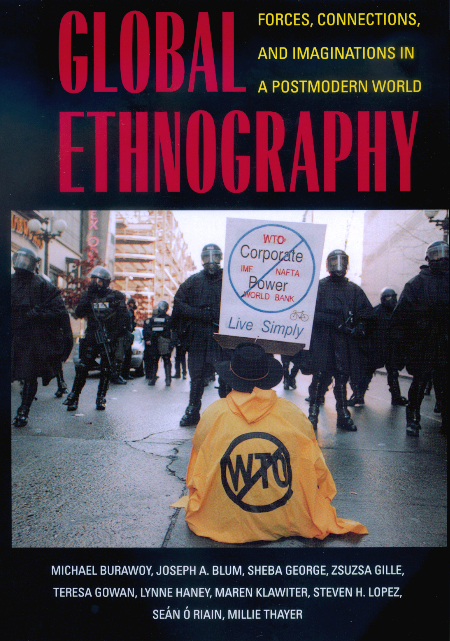 In this follow-up to the highly successful Ethnography Unbound, Michael Burawoy and nine colleagues break the bounds of conventional sociology, to explore the mutual shaping of local struggles and global forces. In contrast to the lofty debates between radical theorists, these nine studies excavate the dynamics and histories of globalization by extending out from the concrete, everyday world. The authors were participant observers in diverse struggles over extending citizenship, medicalizing breast cancer, dumping toxic waste, privatizing nursing homes, the degradation of work, the withdrawal of welfare rights, and the elaboration of body politics. From their insider vantage points, they show how groups negotiate, circumvent, challenge, and even re-create the complex global web that entangles them. Traversing continents and extending over three years, this collaborative research developed its own distinctive method of "grounded globalization" to grasp the evaporation of traditional workplaces, the dissolution of enclaved communities, and the fluidity of identities. Forged between the local and global, these compelling essays make a powerful case for ethnography's insight into global dynamics. All of the authors were affiliated with the Sociology Department at the University of California, Berkeley.